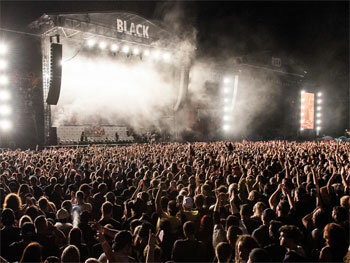 In late March 2018, nearly 30,000 heavy music fans descended on Flemington Racecourse in Melbourne to attend Australia's first ever Download Festival. Four days later, it was announced, much to the delight of those heavy music fans, that Download would return to Melbourne on the March long weekend AND debut in Sydney in 2019….. Whether you stay sweaty in the pit soaking in yourfavourite bands, chill and chat over a frosty beverage in one of the bars, gorge yourself on delectable delights from the foodies, or snap up some eclectic one offs at the markets, Download welcomes you in 2019! Keep your eyes peeled to downloadfestival.com.au and facebook.com/downloadfestAU for the imminent line up announcement, we promise it's a corker!